Prospective undergraduate students interested in a career in a healthcare profession are advised that the Mallory-Wilson Center offers curriculum and programming that complements traditional academic majors, but it does not offer a stand-alone major. Some of the special programming includes the Premedical Living Learning Community and the Premedical Scholars program for incoming students. The practice of medicine has become a team effort and offers an incredible variety of career possibilities. The Mallory-Wilson Center Premedical Living Learning Community (MWC LLC) brings together students interested in pursuing a career in one of the medical fields. The MWC LLC programming will help students explore the fields of healthcare so they can learn about career opportunities and make informed career choices. Students in the community will take core courses required for admission to essentially all health professions schools, and the MWC Premedical LLC support systems will help students as they navigate those first challenging courses. Participate alongside a Miami alumnus physician during a full-immersion preceptorship. Consult closely with pre-health advisors starting in their first year. Take special seminar courses developed specifically for Premedical Scholars. Engage with speakers hosted by the Mallory-Wilson Center for Healthcare Education. Serve on the Mallory-Wilson Center Student Advisory Board. Receive personalized feedback from Miami’s chief pre-health adviser on mock medical school applications and interviews. Enroll in the popular "Issues in Medicine" capstone seminar. 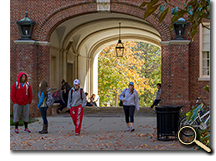 To be considered for the Premedical Scholars Program, you must first apply to Miami University via the Common Application and indicate interest in applying to the University Academic Scholars Program. You will then receive information regarding the UASP application process. Prospective students and their families are welcome to visit during regularly-scheduled hours. 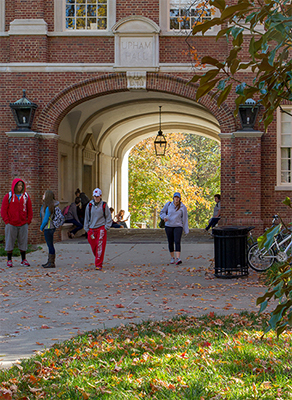 While you are visiting our campus, if you would like to visit with a pre-health professions advisor to discuss what the Miami University and the Mallory-Wilson Center has to offer, email us at MalloryWilsonCenter@MiamiOH.edu or call us at (513) 529-3737 and we'll schedule an appointment.